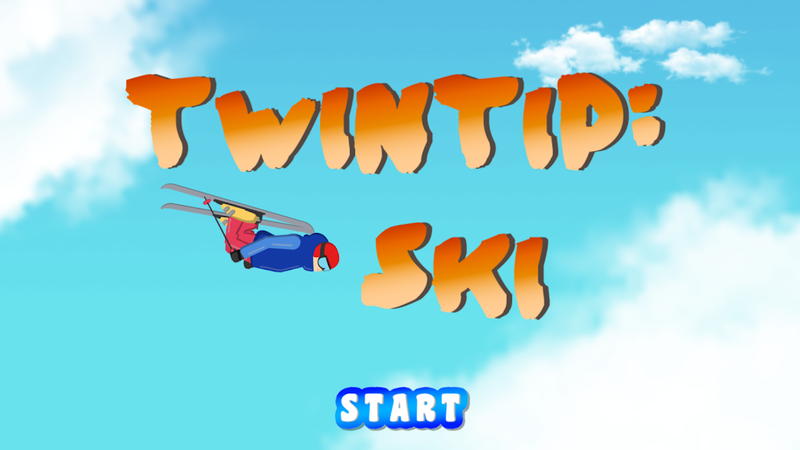 Twintip Ski is the first indie solo Arcade - Racing Sports video game developed by Marc Cervera. 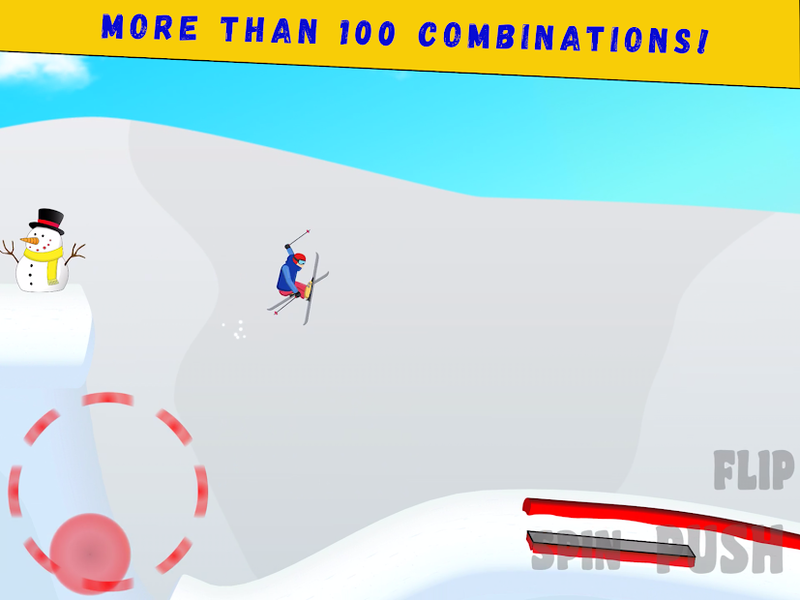 The video game is about skiing, where the player plays with a side on view and has to complete the tracks doing jumps, spins, flips and tricks. There are until four goals to achieve and get the total of stars. 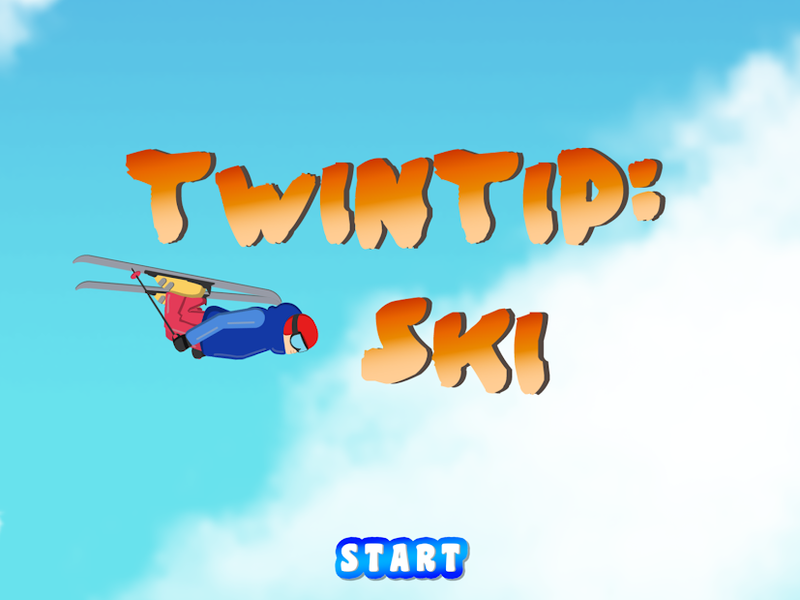 So players can gain additional score points for performing tricks in the air, or grinding. 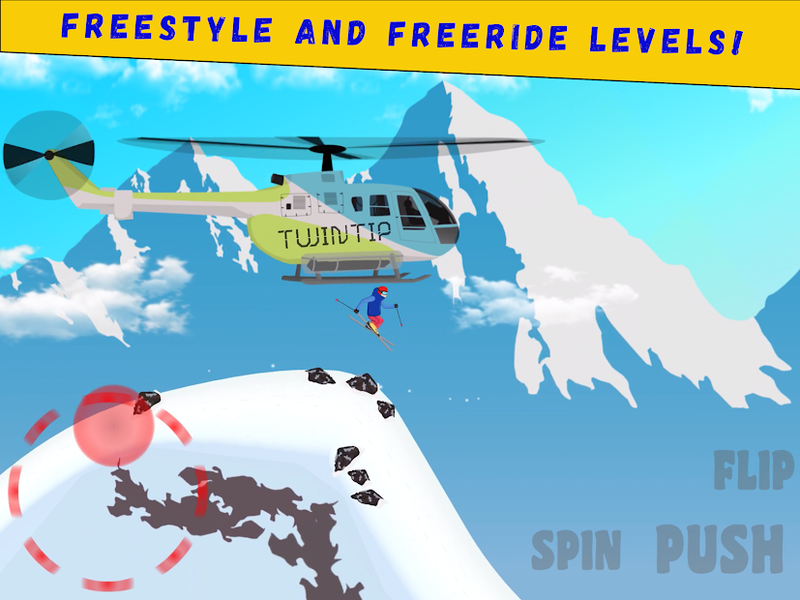 Players have to ride their way through levels which continuously increases in difficulty while performing insane and impressive tricks combinations. Players must comply with six different statements, from the Tutorial to Elite, and there are until eight levels in everyone. Tutorial: this is the part where the player starts to learn how to move their character, doing some jumps and learning to do the spin and the first trick. Amateur: the player starts doing his first tricks in the air and others in the boxes, there are eight special tricks to do in the air and other four to do on the box. Rocky: the first competitions have arrived, and the tricks you need to do are more complex than ever, so you need to practice a lot, maybe crash sometime and try it again to progress and get the stars to continue. 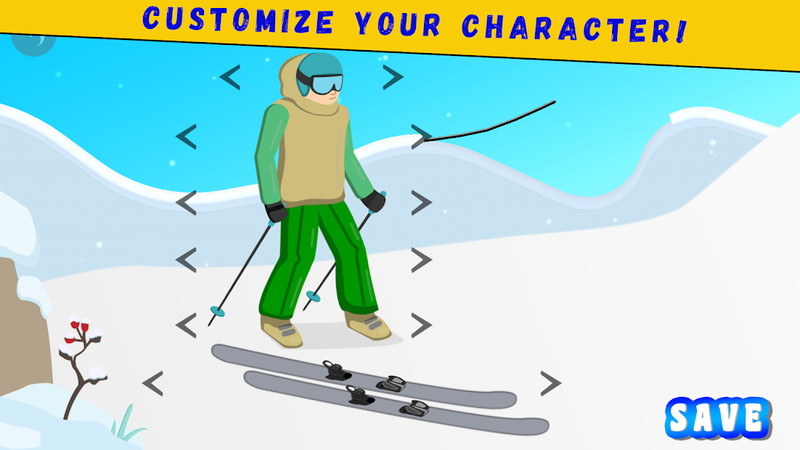 Pro: the player discovers new continents like the big mountains of Canada and the character is going to see new combinations to do while he is sliding down the mountain. Master: these levels are more difficult, the gaps start to be bigger and bigger, and the player needs to know correctly the track to success the level. Finally, the last level of difficulty is Elite, the most conflictive and difficulty levels from all the video game appears. It's time to know in the perfection the speed that needs your character in any time and make the best combinations tricks to success with the best score possible. 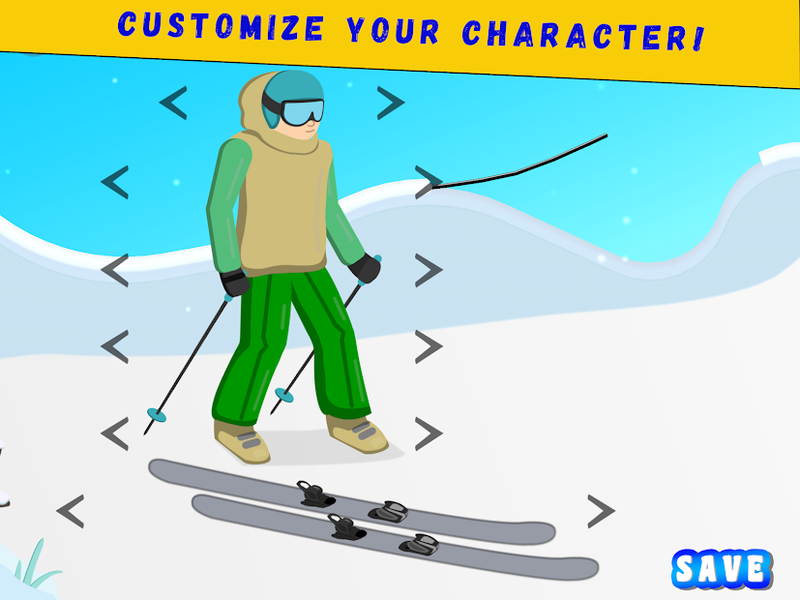 The game allows the player to customize with practically any combinations of colors the character, also with the skies and the ski bats to perform the best stunts they can whilst skiing through over 100 challenges to reach the top of the video game.